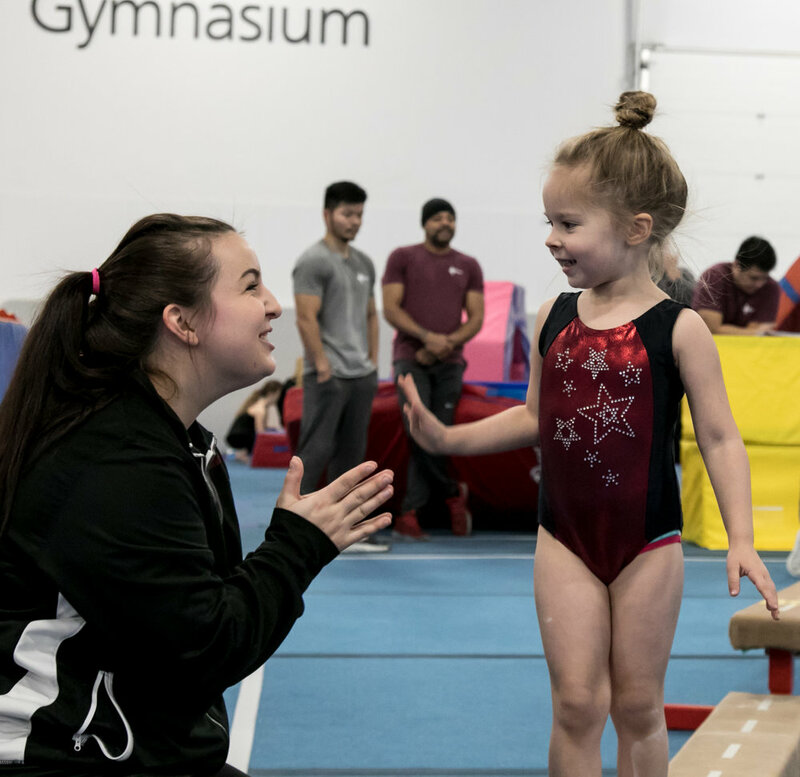 Gymstars boys and girls may be young, but they have the ability to focus and listen well, so they thrive in a structured environment that places more emphasis on gymnastics skill development than our Active Start classes. The atmosphere is still fun and positive! Who is this program for? Good listeners who have a keen interest in learning more advanced gymnastics skills. The Gymstars Program is by invitation or assessment only. Once they graduate from the program, each child will be recommended to the program that best fits with their development. This program does not guarantee a spot in the competitive or superstar programs. How do I register? The Gymstars Program runs from September to June (10 mos). Please contact the Program Coordinator. 4-year-olds practice 1 hour, once a week. 5 and 6-year-olds practice 1.5 hours, twice a week. Check our summer schedule for week-long camps. It’s a great way to keep your skills up over the summer, learn new ones and have some fun! Who are these camps for? Gymnasts who are currently in our Gymstars Program, or who have been invited to try out.